Please measure the actual width of the curtain size you require in cm. Please measure the actual drop of the curtain size you require in cm. Please choose your lining, standard premier twill allows some light to perforate, blackout lining is as described and doesn’t allow light through, thermal lining is thicker. 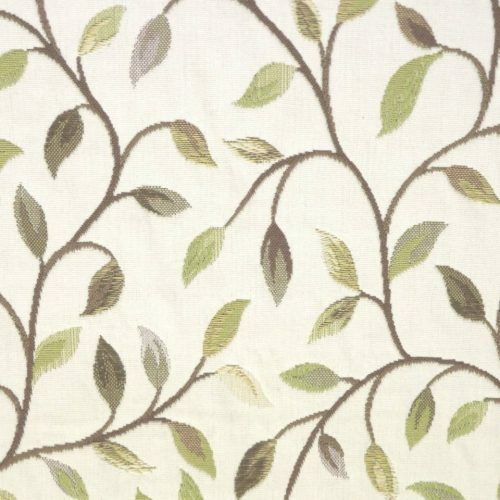 Priced per curtain. A min of 2 curtains need to be ordered to choose the fitting service. We only offer a fitting service to the marinas that we deliver to, you can see the list under ‘delivery and fitting service’ or at checkout. You can provide the location of where you would like the curtain & the label will be placed on the inside (obscured) e.g. galley starboard; galley port, saloon starboard, saloon port etc. 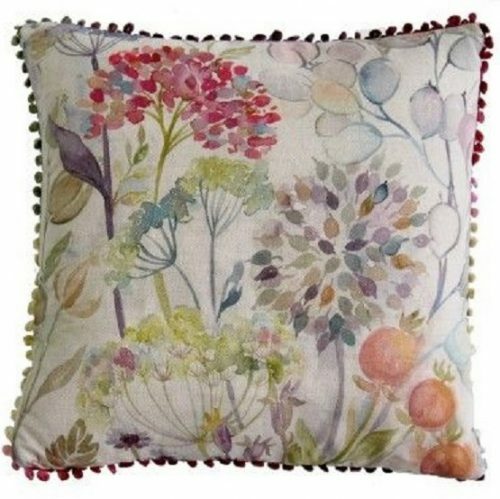 We also offer made to match cushions to complement your curtains. 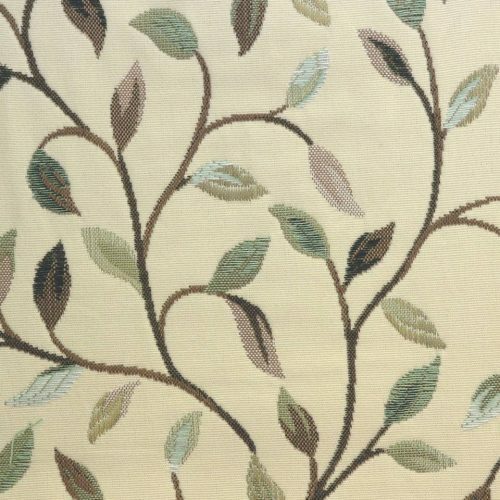 We will make your cushion in the same fabric as the curtain you have ordered. 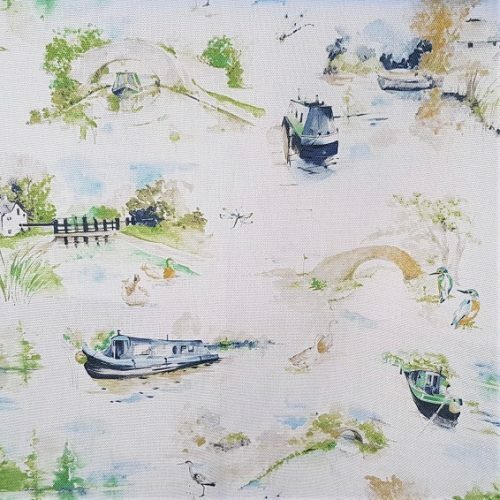 The Summer Canal Scene Curtain fabric is the first in the range by Aqua By Design, it’s beautifully hand designed in water colours and then printed on to cotton panama giving art on a fabric. 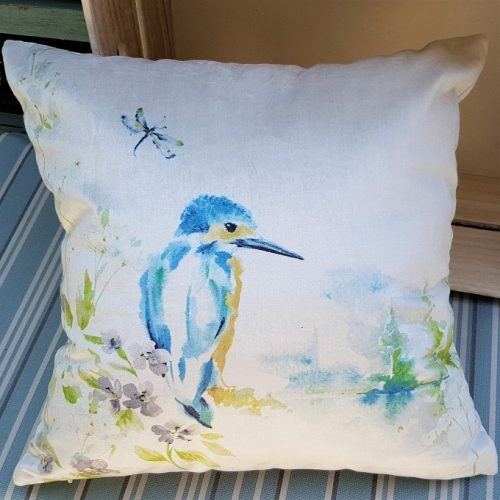 This brings the outdoors in, to any small spaces and we offer made to match products including cushions and porthole cushion liners. 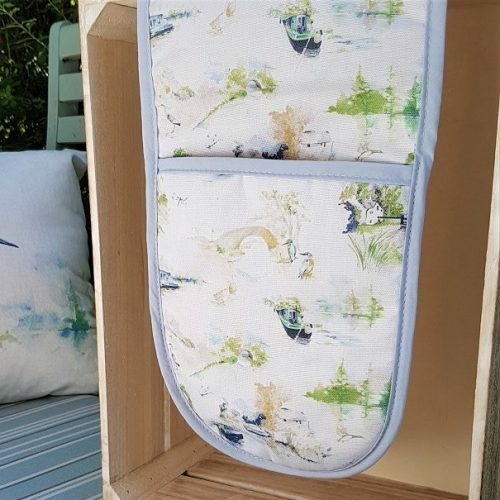 Aqua Furnishings offer luxurious and high quality curtains which can be supplied with pencil pleat, eyelets, tab top heading as well as pattern matching from the top and bottom – the choice is yours. 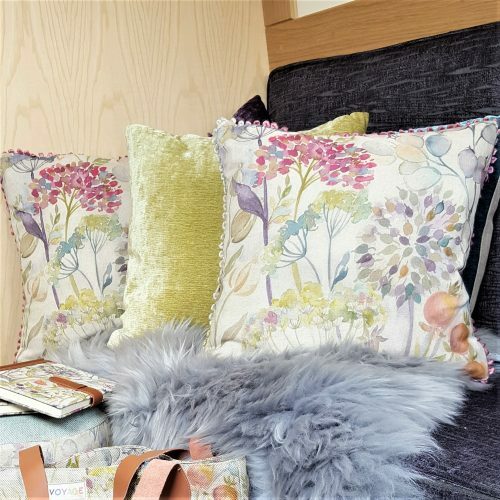 Available in over 120 beautifully designed fabrics, each chosen to complement the cabin interior using texture, co-ordinated colourways and fine patterns. 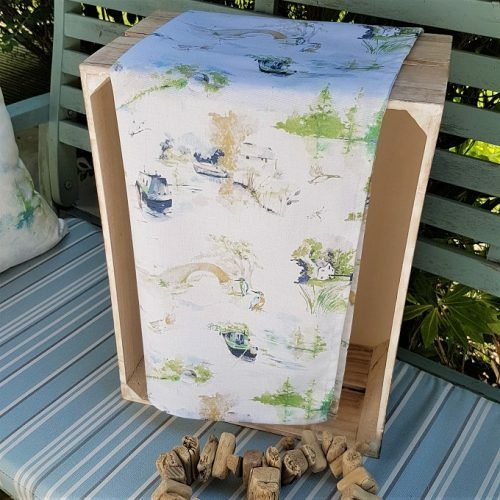 With a choice of fabric, linings and pattern matching you can truly make your curtain bespoke to fit your boat. If you would like one of our Sales Consultants to visit you, please see our Contact Us page. As this is made to measure option the delivery time for this product is 28-35 days. 1. Measure the width of your window and any overlap you require. We advise an overlap of at least 6cm on the window recess, and consider the window frame. 2. Measure the drop (height) of your window and any overlap you require. Once again we advise an overlap of at least 6cm on the window recess. 3. Use these exact measurements throughout our website when giving your ‘Actual’ measurements. 4. You can now enter your actual curtains measurements and select the size that your measurements fall within i.e. small, medium or large. You will see the cost at the end of your options based on the size of your curtain and any additional extras chosen. Please Note: we do not make any deductions to the measurements given when using the actual curtain size option. These three sizes have been ideally developed for canal boats, cabins, barges and river boats & cruisers, if you would like another size that is not given as an option please get in touch for a quote. Fitting instructions: supplied in packaging or can be found under the Blind Buying Guide. Delivery: Standard delivery to all residential properties and to any boats within specific marinas (a list will be provided during checkout). Delivery time 21-28 days as this is a made to order item. For more information see Furniture Store T&Cs. 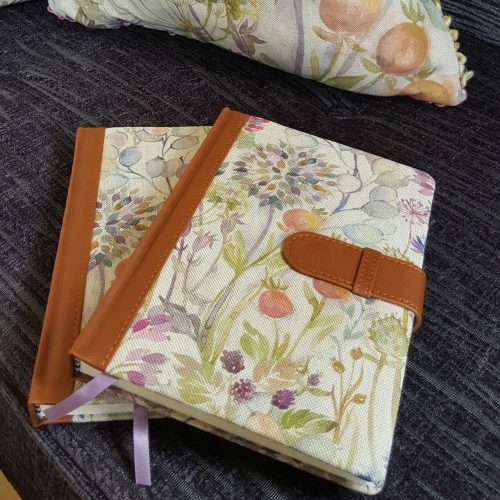 Cancellation: As this is a made to order (personalised) item, it is excluded from the online 14 day cooling off period, you have 48 hours to cancel your order once placed. You can do this by email or telephone, please see the cancellation section. 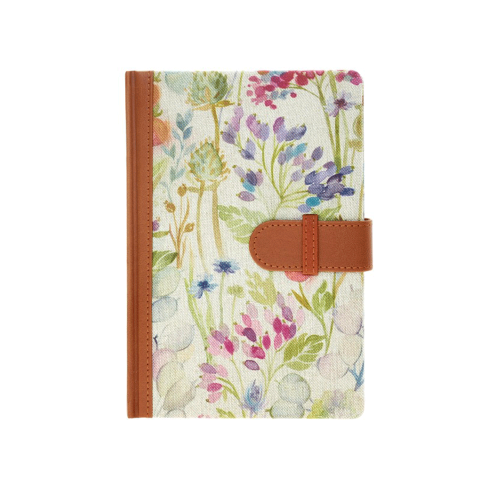 Refunds: Refunds are only accepted if the item is damaged, faulty or not as described. Under the Consumer Rights Act you have 30 days to report however we would very much appreciate your co-operation and feedback within 48 hours. If you are requesting a refund you will need to provide a receipt and photo of the damage or fault. Full item refund will be issued once the item is returned in the original packaging within 14 days. Please see the refund section for the full process. If you have ordered a fitting service you will check and sign completed work as satisfactory, you will have an enhanced returns service, if your item is faulty on arrival enabling you to exchange the item, and our fitters will return and fit your exchanged item.